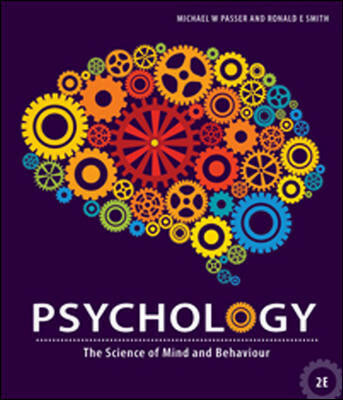 Author(s) Passer, Michael W. ; Smith, Ronald E.
Psychology: Science of Mind and Behaviour studies behaviour from multiple vantage points that emphasise biological, psychological and environmental and social determinants, with an underlying commonality to how any topic can be examined. What makes Passer & Smith an essential contemporary resource for students of psychology?Expert Australian authors writing in their specialist areas with new content on key areas of Australian mental health including indigenous health.A wealth of pedagogy to help students develop critical thinking and application skills and master the core concepts of psychology. McGraw-Hill Connect is a digital teaching and learning environment that gives you the means to better connect with your coursework, with your instructors, and with the important concepts that you will need to know for success now and in the future. With Connect you can practice important skills at your own pace and on your schedule.